If you or a loved one were seriously injured in a truck accident in Miami then you need experienced legal help from the best truck accident lawyer available. 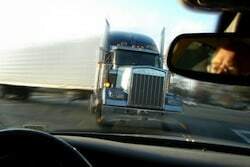 Serious injury and wrongful death claims involving trucks and other large commercial vehicles are different from accidents that just involve cars or ordinary passenger vehicles. Legal issues are often complex and require analysis of both state and federal law. Special laws, rules, and regulations from the Interstate Commerce Commission and Federal Motor Carrier Safety Administration exist to provide all motorists protection. Federal agencies also establish safety regulations that truck drivers and their operating companies must follow. This is because in order for a trucking company to survive and succeed as a business the company must prioritize getting its clients goods delivered quickly. 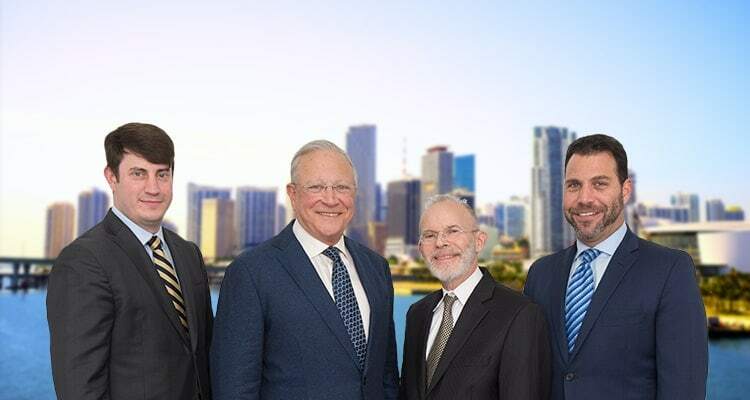 For over 48 years, the Miami truck accident lawyers at Gerson &Schwartz PA have filed personal injury claims for accident victims involving semis, big rigs, tractor trailers and other large commercial vehicles. Our personal injury law firm has also handles truck accident cases where serious injury or death occurs due to distracted driving, drunk driving, and truck accidents due to speeding and many other safety violations. Over four decades of experience gives us the type of familiarity with federal motor regulations and other laws and regulations needed to provide effective legal representation when making a claim for a serious, catastrophic injury, or wrongful death. Gerson & Schwartz, truck accident attorneys investigate all potential legal theories to establish legal and financial responsibility. We provide high quality legal representation for our clients. Often we retain leading experts in accident reconstruction, data recorder analysis, human factors, and other medical specialties. We provide the highest level of legal representation available. In many truck and other commercial vehicle accident cases corporations will send a team of investigators immediately to an accident scene. Our experience over the last four decades allows us to combat these types of tactics. Our firm takes pride in the work we do as evidenced by our past case results. If we are hired to be your attorneys your case will be handled by aggressive trial lawyers. We offer all clients with individualized and quality legal representation. Consultations are free and there are no attorney's fees unless we collect money on your behalf. If a fair settlement offer is not made we wont hesitate to file a lawsuit on your behalf. Your case will be tried quickly in court if we are hired to be your lawyers. Trucks or big rigs are often powered by powerful locomotives to which containers called trailers often loaded with cargo attached. A large commercial truck may weigh in excess of 40 tons and be as long as 75 feet in length. For this reason, it is no wonder that accidents involving large trucks usually involve serious property damage and severe injuries. At high speeds, the result of truck collisions are that tons of mass and energy dominate smaller vehicles in a crash. Statistics regarding traffic accidents where a large commercial truck is involved portray a harsh image for victims of collisions. The U.S. Department of Transportation reveals that more than a half-million truck accidents occur each year. These accidents cause around 5,000 deaths annually, which represent 12 percent of all traffic-related deaths. Florida's roads saw more than 4400 deadly traffic accidents annually in recent years, with an average of nearly 350 involving trucks. These studies also revealed an aspect that is even more startling: 77 percent of the people injured in truck accidents, and 86 percent of the people killed, are drivers of small passenger vehicles. In other words, most of the time trucking accidents injure other travelers-not the truck driver. Studies also show that nearly one-third of all commercial truck accidents involved a truck driver who failed to take the required number and length of rest breaks and failed to get the required amount of sleep. These studies also revealed an aspect that is even more startling: 77 percent of the people injured in truck accidents, and 86 percent of the people killed, are drivers of small passenger vehicles. In other words, most of the time trucking accidents injure other travelers-not the truck driver. Many times, truck accidents are attributable either to speed, driver fatigue, distracted driving, driver error, or mechanical failure. Driver negligence and negligent supervision (or lack thereof) of the driver by the company can be demonstrated by showing the company's level of maintenance of the truck or requiring drivers to operate in violation of federal motor carrier safety regulations. Other complex and unique aspects of truck accident cases can involve insurance coverage issues. Truck accident negligence can also be proven by showing that company's drug testing (or lack thereof) of the truck driver, and the existence and quality of the trucker's records and logs. In cases where the truck driver's negligence is not apparent there still may be accountability. As an example, if a trucks brakes fail, and the driver gets into an accident it may be the trucking company failed to train or educate its drivers properly regarding the correct safety procedures to employ in cases of maintenance or other aspects of vehicle maintenance. Fortunately, in today's day and age many trucks are equipped with data recording devices. When accessed they provide useful information to prove time, speed and other distances. Vehicle preservation to access this information is key to success for accident victims. Unfortunately, some truck companies value speed over safety which leaves the other motorists on the road with its drivers at an elevated risk of a devastating accident. However, speed should never result in sacrifices to safety. Sadly, sometimes the safety of travelers takes a back-seat-with deadly consequences. This may also lead some companies to hire under-qualified drivers, or to push their drivers to cut corners regarding safety measures. If you or a loved one has been hurt in an accident involving a commercial truck, contact a truck accident lawyer in Miami at Gerson & Schwartz, P.A. today to discuss your case. Call us at (305) 371-6000 or toll free at (877) 475-2905 today. 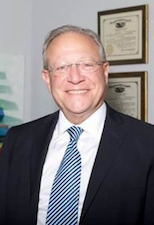 Gerson & Schwartz, law firm represents truck accident victims and their families throughout all parts of South Florida including Miam- Dade, Homestead, West Palm Beach, Orlando, Monroe, Hollywood, Orange County, Boca Raton, and the Florida Keys.